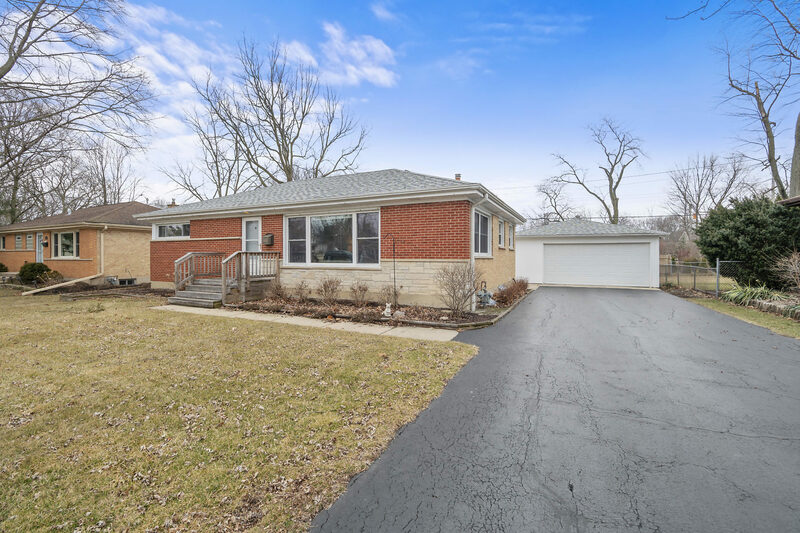 WALK TO TRAIN all brick 3 Bedroom updated Ranch with Full Basement. Pristine and ready to move into. All hardwood floors. Huge 2.5 plus car garage with lots of storage. 1.5 Bathrooms. Sun Drenched Living Room with Combo Dining Room area. Kitchen with updated stainless steel appliances and table area. Freshly Painted throughout. Updated Windows with Blinds. Roof &apos;13. HWH &apos;18. So many news to name. Full basement is partially finished with a huge Family Room area. Great walk in closet with shelving in Basement, plus a huge laundry room with cabinets and separate work room. Plenty of Storage in Basement and Garage. Large Deck and yard for wonderful Summer nights. Great location to get everywhere.